Acetylene production. This facility can supply the gas to between 200 and 300 units, usually lamps. 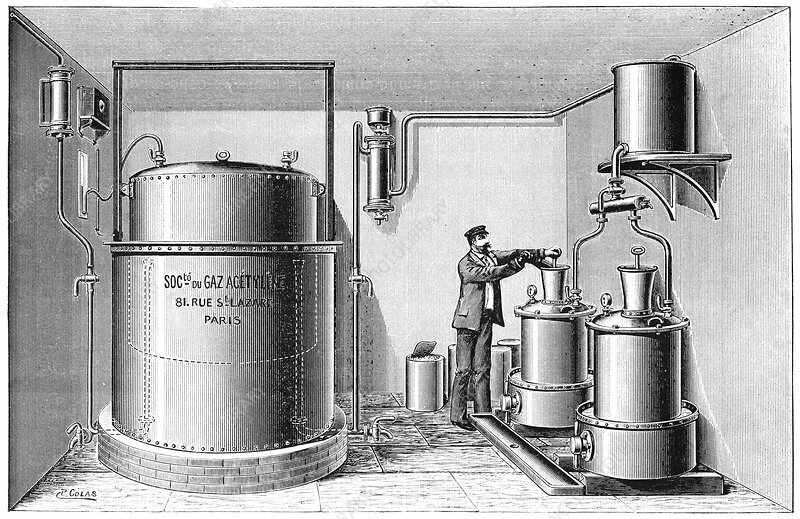 This facility is operated by the Societe du Gaz Acetylene, formed in Paris, France, to pioneer the installation of acetylene lighting systems. Artwork from the first volume (1897) of 'La Revue Scientifique et Industrielle' by French chemist and inventor Jules-Louis Breton (1872-1940).